The American Library Association (ALA) Council established the Intellectual Freedom Round Table (IFRT) in June 1973. At the 1973 Annual Conference in Las Vegas, IFRT was organized as the association's membership-activity program for intellectual freedom. The activities of the round table supplement the Office for Intellectual Freedom educational program and offer opportunities for ALA members to become active in the association's intellectual freedom efforts. IFRT brings together people from all types and sizes of libraries and information centers and represents all the divisions and round tables of ALA. Membership in IFRT offers the chance for networking possibilities and ultimately, greater involvement within ALA. Round table committees are a great way for members to learn more about how ALA works and develop knowledge and skills for a career of involvement in ALA groups. For the most current information about how to enroll (by phone, fax, online or by mail) and the membership dues schedule, please visit ALA's Membership page. Contact ALA at 800-545-2433 if other membership questions arise. Membership in the American Library Association is a prerequisite for membership in IFRT. ALA membership benefits include: a personal subscription to American Libraries - 11 issues per year; substantially reduced rates at ALA conferences; discounts at ALA Store; the backing of the strongest unified voice for librarians in the world; and more. 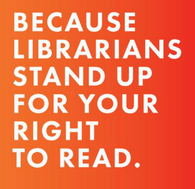 If you are already a member of the American Library Association, please consider adding membership in the Intellectual Freedom Round Table when renewing your membership. Annual dues are $15.00 (regular), $5.00 (student), or $20.00 (organizational and corporate). Discover IFRT Memberships Benefits or visit the IFRT Committees list to learn more about the work of the round table and volunteer for a committee that interests you.